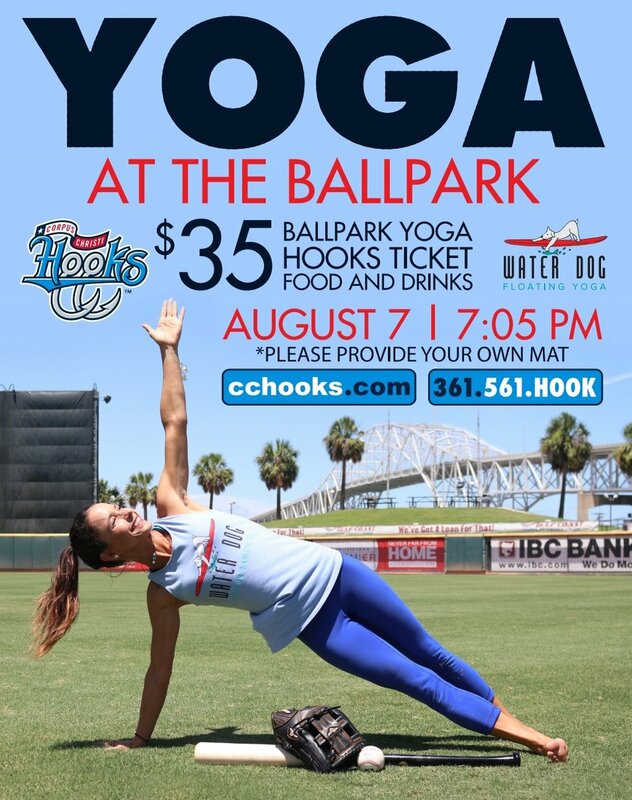 Included in price are Hooks tickets, yoga, snacks, & beverage tickets. Mingle and eat on the VIP Deck afterwards then your tickets will get you to corner box seats. Grab some friends and enjoy the evening outdoors, being active all while supporting Corpus Christi's local teams and local businesses!